Greyhounds Tips - Central Park Kent Derby final - October 7 2018. 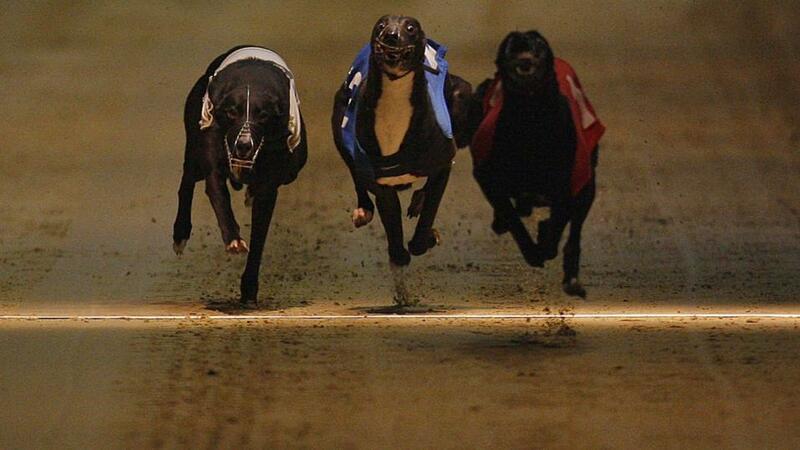 It's Kent Derby final night and you can catch every race live from Central Park on RPGTV. Check out Darrell Williams' best bets on a top-class card. "It’s not been a bad year for King Turbo and with a make-up firmly in his favour he is strongly fancied to add the Kent Derby trophy to his 2018 haul of silverware"
With a Towcester and Monmore Gold Cup already in the locker it's not been a bad year for King Turbo and with a make-up firmly in his favour he is strongly fancied to add the Kent Derby trophy (20:44) to his 2018 haul of silverware. More than capable of dominating as he showed in last week's semi-final, his draw affords him every chance of trapping in front although as his big race win at Monmore clearly showed that is by no means a necessity. Trade Fudge has romped to a brace of ridiculously wide margin wins - by a combined total of more than 24 lengths - in the two qualifying rounds. But while he cannot be written off with the switch to trap four unlikely to hinder his chances, the presence of Headford Johnny, who paced up well in the semi-final, could prove a stumbling block and allow the selection to go beyond recall. The form book clearly shows Sporting Ranger succumbed to defeat at long odds-on in last week's Kent County Hurdle semi-finals, but Jason Heath's charge could hardly have been more unfortunate in-running and he is confidently expected to recoup the losses in tonight's final (20:27). Finding every trouble spot going, the Hove raider whose previous CD form rates amongst the strongest at the track this year, must have made up more than ten lengths in the second half of the contest only to narrowly fail to get to shock winner Lord Kilgraney. Caislean Fifi continues to prove frustrating and while his semi-final conqueror Coconut Raver's late running style always affords him a chance the selection's superior class can make the difference. Sporting Dave, a shock elimination in the Kent Derby semis behind a brace of unconsidered rivals, could benefit from the addition of a middle tag on the undercard (21:17). Seamus Cahill's charge was keen to take a middle path from the traps last week and having proved his worth with an excellent front-running display the previous week can immediately bounce back to winning ways. Earlier, Moanteenbullseye is drawn to advantage in the puppy contest (18:27) which should allow him to dominate proceedings for Crayford handler Dave Lee.